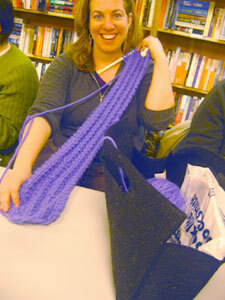 Jenn's broken rib scarf is getting longer. Way to go, Jenn! 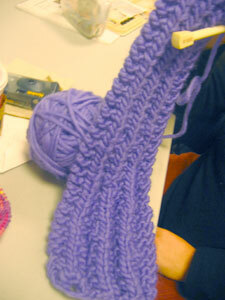 Jenn's back and she's working on a fabby purple scarf in Brown Sheep BurlySpun! 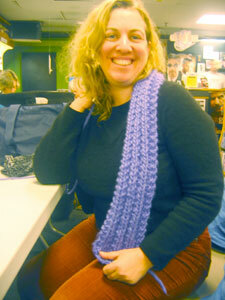 Jenn has finished her first ribbed project - a skinny scarf in Rowan all seasons cotton. 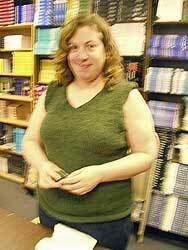 Congrats, Jenn! 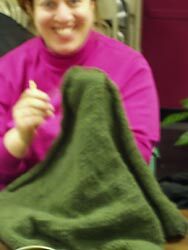 My first cotton. 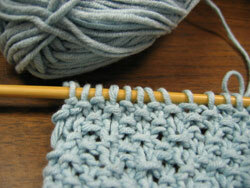 My first pattern stitch. 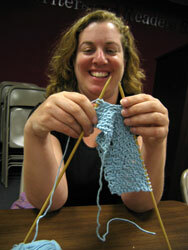 Jenn's trying out some Rowan all seasons cotton in seed stitch. She's just getting the hang of it, but she's having fun! 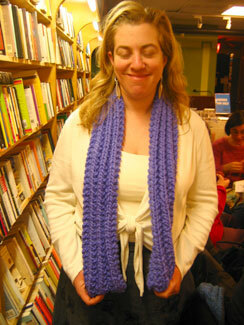 Jenn's first big project - hooray! 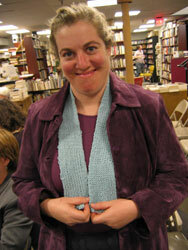 She did the crocheted edgings last week, wove in ends and slipped it on today. Great job, Jenn! 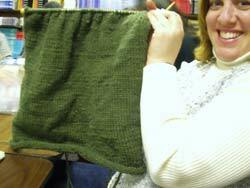 Jenn's finally up to the seaming on her first big project. Hey Mikey, she likes it! 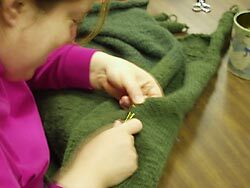 Jenn is working on her first sweater. She's so proud - and she should be!